Born behind a seal, I never experienced anything beyond those four walls until the jinn were freed from our prison. On Earth, the other demons see us as nothing but monsters; however, the demons don’t know the jinn as well as they think they do. I’m beginning to realize I don’t either. When the jinn unleash a trap ensnaring most of the palitons in the Abyss, I find myself torn between loyalty to my kind and the anguish of those who remain free. Unable to walk away without at least trying to help, I offer to do the one thing I know could turn the jinn against me...even if it means joining with a demon I can’t resist. The last thing I expected when returning from a hunt with Corson, Caim, and Raphael was to find most of our camp caught in the jinn’s trap. Nor was I expecting to capture the fiery beauty with the multi-hued eyes and jinn blood. Even knowing what she is, something about Amalia calls to me in a way no woman has. When she offers to help us, I know better than to trust a manipulative jinni. However, if I have any chance of saving my friends, I must follow her into the Abyss. 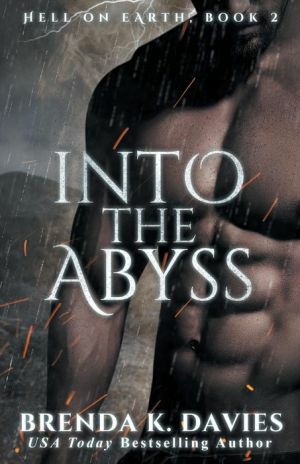 As we travel deeper into the jinn’s twisted world, I realize there is far more to it than meets the eye, but just what secrets do Amalia and the Abyss hide?